Experienced, trained, talented, and passionate! Originally from Northern Pennsylvania, Amy grew up studying many areas of the performing arts and performing in productions all over the East Coast of the United States and the Bahamas. 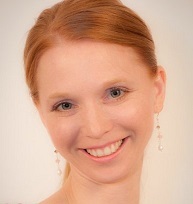 Miss Amy is the founder and Artistic Director of Premiere Danse Academy. She has been dancing for 37 years and has been teaching the art of dance, her passion, for 23 years. Amy has her BS in Elementary and Special Education from Misericordia University and did her masters work in education at St. Joseph’s University. Her dance training is from the Gloria Dillon Studio of Dance in Pennsylvania and Broadway Dance Center NYC in classical and contemporary ballet, pointe, tap, jazz, hip hop, Irish Step, toe tap, and musical theater dance. She has been teaching dance for 23 years at various dance studios in Pennsylvania, for recreation programs, after school programs, preschools, fundraising events, and private parties. 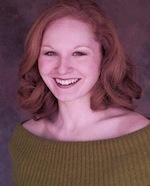 Currently Miss Amy also is a Teaching Artist for The Fulton Theater. She most recently directed and choreographed a children’s production of Willy Wonka for the Fulton Theater. She has directed and staged numerous small and large productions and events. Miss Amy trains professional performers from all over the United States. Most recently cast members of Dutch Apple Dinner Theater, American Music Theater, Sight and Sound Theater, Fulton Theater, Prima Theater, Blue Gate Theater Company, American Music Theater, Sesame Street Live National Tour, Norwegian Cruise Lines, Miss Pennsylvania Pageant Contestants and performers from other theaters throughout the United States. She has been awarded the honor of Who’s Who Among America’s Top Dance Educators. Miss Amy believes in the collaboration of all areas of the performing arts to maximize the experience for the audience and the performers. Her goal as a teacher is to cultivate a creative learning environment that fosters excellence through traditional, contemporary, and interdisciplinary approaches that prepare students to explore, create, perform, and reach their full potential. Thus, providing each student the opportunity to develop and grow their artistic values while learning skills and a love to be a successful contributor in the performing arts community. Miss Amy feels blessed that God has given her all of the amazing opportunities in life and that she can share this with her husband David, her children and all of her students! “Here is a school that Amy can go to. Savannah Rose Eklund is a Lancaster native . She trained with Viktor Yeliohin IBA and Susquehanna Dance Center. 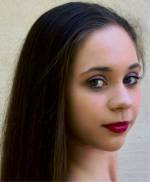 For 3 years she has danced with Susquehanna Dance Center's resident dance company, COBALT, where she has enjoyed performing at venues in Lancaster and the Philadelphia Youth Dance Fest. For all four years of high school, she was a principle dancer with Hempfield High School's Dance Theatre productions. She has also attended summer intensive courses with American Ballet Theatre, Bolshoi Ballet Academy, Kirov Academy of Ballet, and Joffrey Ballet School. Savannah is looking forward to teaching at Premiere Danse Academy! Megan Roland began dancing at age 4 at Joanna’s Studio of Dance in Philadelphia. She performed in the Philly Area and competed in many local and national dance competitions. At age 17 she studied at The Ballet Center under Philip Carmen and Marion Tonner at the pre-professional level. She taught for over 10 years in the Philadelphia Area, and was assistant director at Joanna’s School of Dance. After relocating to Lancaster in 1997, Megan taught at Lancaster School of Ballet and was a guest teacher at The New Movement Center. She is an original member of the Grant Street Dance Company, performing with the company for over 10 years. Megan is a pediatric physical therapist at Schreiber Pediatric Rehab Center where she started "Kids In Motion", a program to improve strength and flexibility through the basics of Ballet, Tap, and Creative Movement. She believes anyone can dance and have fun! Nathaniel Williams is a high-level dancer, who is trained in Irish Step, Ballroom, Jazz, Musical Theater, and Tap. His love of and skill in dance has brought him many opportunities, such as being Assistant Choreographer for the musical Crazy For You at Lebanon High School (2014), Head Choreographer for Bye Bye Birdie at Milton Hershey School (2016), & Ballroom Dance Consultant for Beauty & the Beast: the Musical for Cedar Crest High School (2018). One of his favorite dance memories is his 2012 Good Will Performance Tour through France & Nice as an ambassador for the U.N. In addition to his dance training, Nathaniel has been training in the martial art style of Isshinryu Karate since 1995. In 2004, his Sensei gave Nathaniel the honor of becoming an instructor, where he learned about his love and enjoyment of passing on knowledge to others. He participates in many tournaments and in 2006 he was invited by the WKO (World Karate Association) to join their USA contingent traveling to Japan for tournaments in Tokyo & Osaka. He has achieved the rank of 3rd-degree black belt and is a member of the O.I.K.K.A (Okinawan Isshinryu Karate & Kobudo Association). Nathaniel is also a figure/freestyle ice skater. 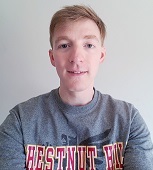 He is working on receiving his ratings to become a gold level skater through the USFSA (United States Figure Skating Association) and is an official coach for figure skaters & hockey players through the PSA (Professional Skaters Association). On top of his other accomplishments, Nathaniel is a certified Athletic Trainer, Strength & Conditioning Specialist and Nutritionist through the ISSA (International Sports Science Association), which helps him mentor athletes and performers in all his areas of expertise. Nathaniel has done quite a lot in his life and these skills and accomplishments form the main core of who he is. He loves teaching others the skills he has mastered and inspiring them to love these activities also. He believes in continually studying in every facet of his life so he can be a better teacher to others. Jennifer Wolcott is a performer based out of Lancaster, PA. Originally from Marion, IN Jennifer holds a BA in Vocal Performance from Taylor University as well as an MA in Opera and Musical Theatre from Southern Illinois University Carbondale. Along with performing for such local theatre companies such as Servant Stage (The Civil War and The Marvelous Wonderettes) and directing and choreographing for Piercing Word (Ecclesiastes); she currently performs and serves as the Dance Captain at Sight and Sound Theatre’s production of Jesus. She was so excited to return to teaching! Praise be to God! To dance brings joy. To create brings satisfaction. To teach and inspire makes the heart sing.